Hello again! A quick blog to let everyone know that I'll be uploading my latest batch of photographs to my website over the next couple of days. 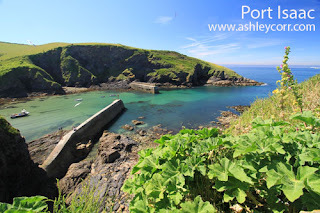 There will be the usual blog entries to accompany the new gallery at ashleycorr.com - all photographs were taken during last weekends tour of Scotland's West Coast. A memorable trip, taking in such places as The Trossachs, Glencoe, Oban, Fort William and finally the most northern point of my travels, Dornie, the location of Eilean Donan Castle - a place I have wanted to visit for many a year. Stay tuned for the new photographs. 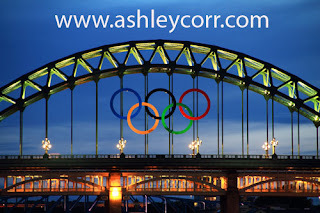 Finally, the hit counter at ashleycorr.com has almost passed the 70,000 mark!!! Many thanks to all who have bumped up those figures down the years. It seems like yesterday that I was commemorating my 40,000th hit. Time flies. Hat tipped once again. 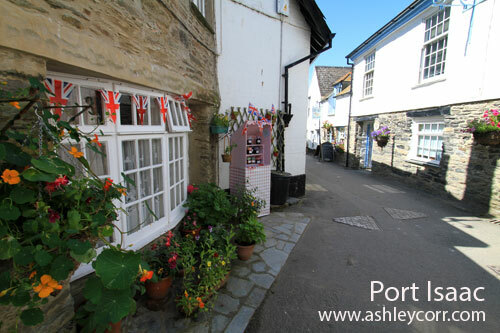 A couple of years ago I received an enquiry from the owner of a local outlet where I display and sell my work, asking whether I produced postcards. At the time I did not, but after a little bit of research I decided to 'dip my feet in the water' and design one or two. As the first design looked quite good I decided to move onto my second creation, with the idea of creating a matching set using a single template. The idea worked well and the cards looked good, in PDF form at least, but going into print was a different matter. Anyway, after shopping around I found a printer that offered great quality cards at very reasonable prices, so the designs were submitted and the wait for the results was on. 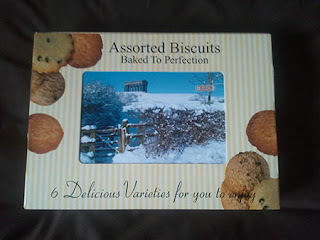 A few days later the cards were delivered and I was well impressed, with quality and appearance. Seeing them on a PC monitor is one thing, but having a hard copy in your hands is quite different. 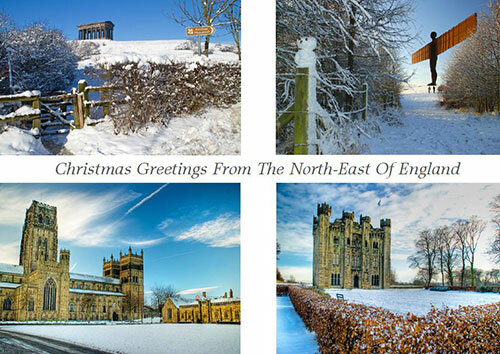 The set originally started life as four cards, each featuring a different image of Penshaw Monument, a well known iconic Landmark near Sunderland, but as interest in the cards grew, so did the set itself, as more cards were designed and produced. Two years on and the set consists of 33 postcards! I approached several outlets in the region and was met with plenty of enthusiasm regarding the cards, which has resulted in each outlet buying good quantities from me, and later replenishing their stocks due to popular demand. 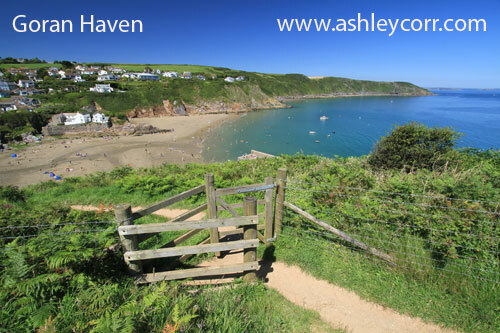 To date I have sold over 5,000 postcards and that number continues to rise. Only last week I was commissioned to produce another batch, of a different design, all featuring snow scenes of local interest. The cards are to be used on the front of boxes containing biscuits and other confectionery - the packaging is known in the trade as 'Postcard Packs'. Christmas shoppers are the target and here's hoping the boxes will 'fly out'. Should this be the case then I have the option to produce an 'Everyday card' which will replace any unsold stock once the festive season is over, as the actual box does not carry a Christmas theme - the cards rotate, depending on the current season or theme. So, if you're partial to dunking biscuits or chewing toffee, amongst other things, then get yourself along to Clay's Garden Centre in Washington and grab a box while you can. 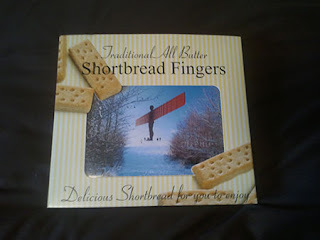 As you have now gathered, I'm on a commission for every box sold, he he. Just to wrap up this blog entry - here are a couple of pictures of the actual product, along with another Postcard design, a quad-multi card, featuring four local landmarks, after a good old snowfall. 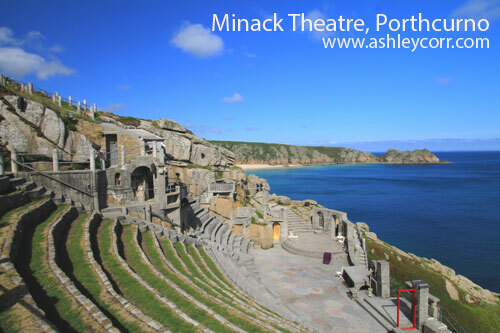 In July 2009 we toured Cornwall for the first time, visiting many towns and beaches along the Cornish coastline. The whole experience was an eye-opener to say the least, as we covered most of the places we wanted to visit, although there were still outstanding areas that we simply didn't have time to tick off the list. The Summer of 2010 presented an opportunity for us to put that right by making another long journey south, with an overnight stay in Bath to split the journey in two - ideal for AC (Chauffeur). I know I mention the weather a lot in my blog entries, but when the game is photography the elements play a massive part in what you're hoping to achieve, and the end result is king. 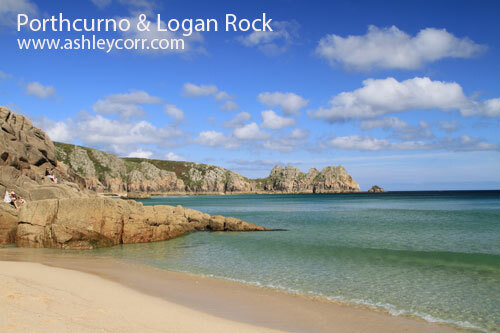 Of course, photographic excellence can be achieved during all types of weather, but I prefer wall to wall sun, blue sky and broken clouds for the picture-postcard landscape shots that I predominantly shoot. So, after a mixed bag of weather during our first two visits we were hoping for a much better return in 2012, and we certainly got it. For a full week we were treated to constant sunshine from the moment the sun was up, until sunset around 9.30pm. For three days we hardly saw a cloud and temperatures were up towards the 30 degrees mark, making this a holiday to remember in more ways than one. 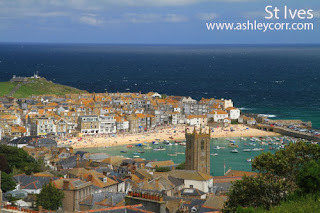 To view my 2009 slide show, click this link Cornwall. 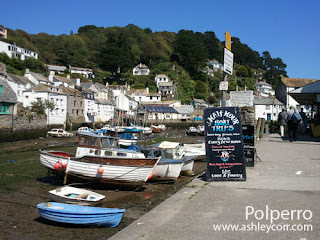 If you like what you see then you may like to view the sequel which can be viewed here - Cornwall Revisited. 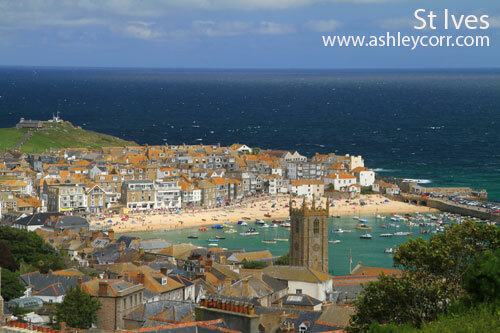 In the next week or so I will be adding my latest Cornwall slide show to ashleycorr.com, but until then, here is a sneak preview of what to expect, as I photographed even more Towns and Beaches along the Cornish Riviera. 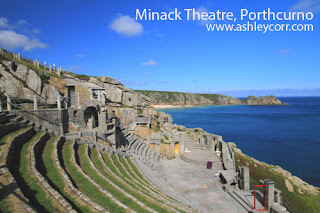 Highlights of the week were visits to Porthcurno, which included the Minack Theatre, which is built into the cliff face - definitely one of the jewels in the crown. 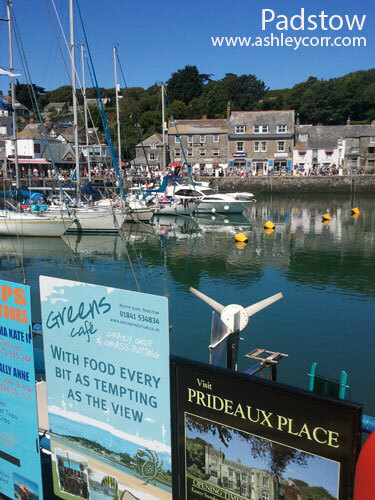 Padstow, who's inhabitants include world renowned seafood chef Rick Stein, which is always a pre-planned destination of ours. Other places on the tick list were Looe, Polperro and Port Isaac (location of the BBC series Doc Martin), as well as hidden gems such as Goran Haven and Talland Bay, scene of the lone fisherman (below). Tick list complete! As always, click an image to reveal enlarged versions. 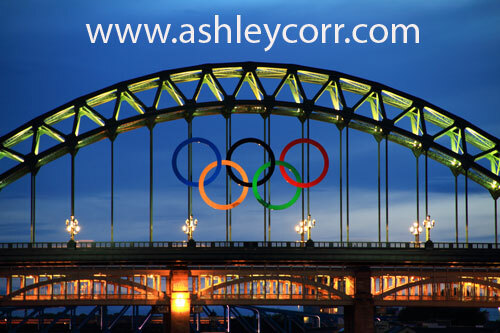 Huge Olympic rings were lowered on to the Tyne Bridge recently as the North East prepared to welcome the Olympic Flame to the region. 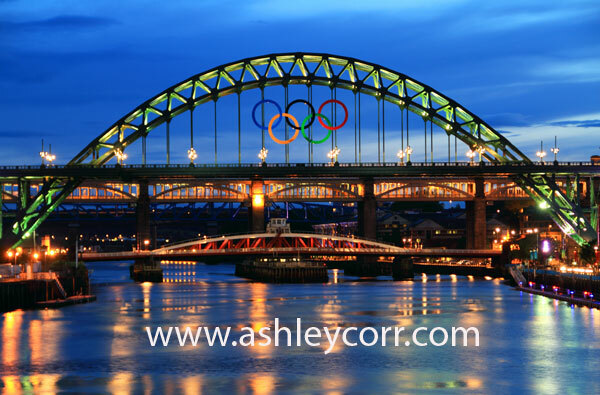 Constructed from aluminium, the massive overlapping circles measure 25m wide and 12m high, making them the largest set of metal Olympic Rings in the UK. St James’ Park, Newcastle played host to the London 2012 Olympic Football tournament where six matches were played at the stadium, including Brazil, tournament favourites to lift the gold medal in the men's football. 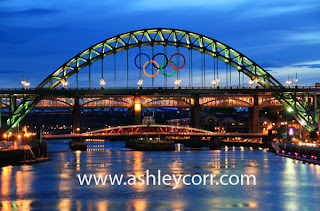 Not wanting to miss the opportunity, I got my arse down there last week to photograph the Tyne Bridge before the Olympics finished and the rings were removed. I had hoped for a colourful sky to finish my photo's off nicely, but I wasn't in luck. After sunset, what little colour there was quickly burned out, leaving a rather flat backdrop, but what can ya do. I might persuade myself to return to the Forbidden City again, before the rings are ditched, in the hope of pulling in some better shots. I'll keep you posted on that one. Another blog entry from across the border - this time it's Edinburgh, capital of Scotland, plus Linlithgow, a small town which lies 19 miles west of Edinburgh. 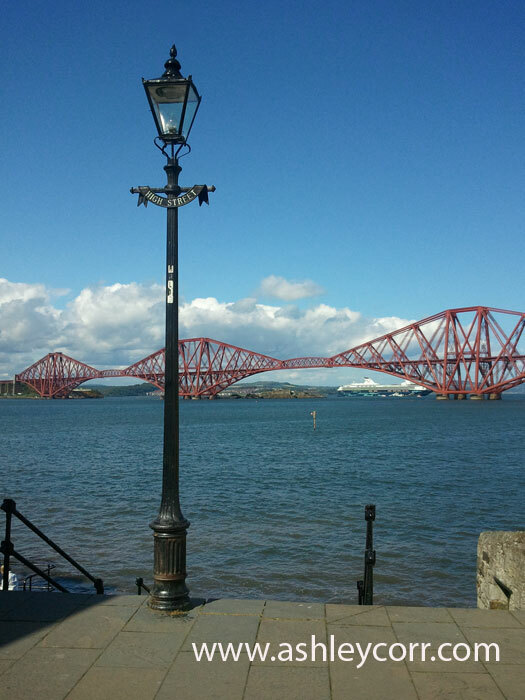 Just one day after our visit to Queensferry and the sun was shining once again, although there was a definite chill on the bones. My mobile phone done the honours once again, not that there was another option available - that's what happens when you leave the big camera at home. After stuffing Haggis down the owld hatchet it was time to get out and about in Edinburgh, starting with Princes Street Gardens before heading up the hill towards the Royal Mile. The gardens were busy and it was clear the sun had a lot to do with it. Many people sitting on the lawns just watching the world go by. Princes Street was undergoing a lot of construction work, so the road was out of bounds to all vehicles. The place was upside down, to be honest - a right old mess. I heard they were installing a tram line to run the length of the street. Time to exercise the legs and burn off some of those Haggis calories, so up the hill we went. Half way up I was blowing out of me arse - paggered! Got there eventually and headed up towards Edinburgh Castle, where its car park was now a huge temporary seated area, ready for concerts and other events, including the world famous Military Tattoo. Below is a panoramic stitch of the arena. Again, this place was thriving - the queue to gain entry to the castle was huge, with many foreign tourists making up those numbers. 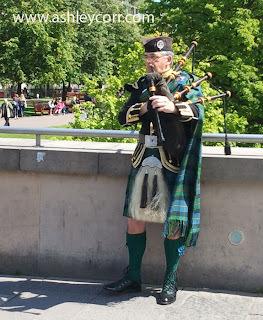 With only a couple of hours to spare in the capital we decided not to inside, opting for a bite to eat and a look down the Royal Mile before heading out to Livingston on a family visit, before driving the 19 miles across to Linlithgow. 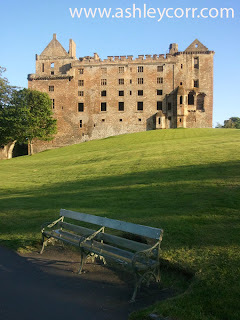 Linlithgow is a historic Royal Burgh located in the central lowlands of Scotland - about 20 miles from Edinburgh and under an hour from Glasgow by train or car. It was the birthplace of Mary Queen of Scots and the preserved ruins of the Royal Palace can be visited in a picturesque setting next to Linlithgow Loch. It was here that we killed time, under the sun that had shone all day up to this point. The palace was one of the principal residences of the monarchs of Scotland in the 15th and 16th centuries. Although maintained after Scotland's monarchs left for England in 1603, the palace was little used, and was burned out in 1746. 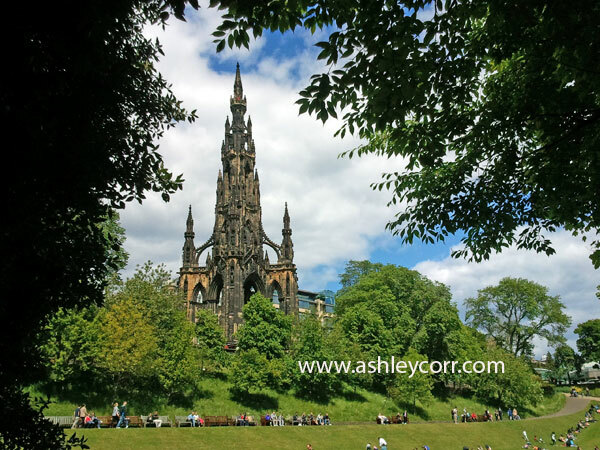 It is now a visitor attraction in the care of Historic Scotland. A Strathspey for bagpipes was composed in honour of Linlithgow Palace. The Palace, is said to be haunted by the spectre of Mary of Guise, mother to Mary Queen of Scots. The Palace was closed by the time we arrived, which must have been around 6pm. I entered the archway to the entrance, which was locked, and heard some strange noises all of a sudden. Could it be the ghost of Mary, or just bowel noises from the fettled haggis that was necked earlier in the day! And on that little note I shall depart to watch some Olympic Games on the Beeb. I will be back soon with a good selection of photo's from our recent holiday in Cornwall, where the weather was perfect all week - 7 days of it. Until then... ta ta. It's not very often that I cross the border into Scotland and fine bright sunshine. More often than not I'm met with dull skies and more than a fair share of rain and wind, but not today, as conditions were ideal as we arrived in South Queensferry, which is 11 miles north-west of Edinburgh. This was our second stop-off en route to Livingston - our first being a lunch break in Eyemouth, slightly north of Berwick-Upon-Tweed. South Queensferry isn't a place I'm very familiar with, although I have visited this small town once before, a couple of years back, to meet up with Derek Forbes, former bass player with Simple Minds. A drum kit and money exchanged hands on that day - not bought by myself though, I was merely along for the ride. On that day the weather was miserable, which wasn't that important as we were only in South Queensferry for a matter of minutes before we headed south, back down the A1(M). South Queensferry, sometimes also called Queensferry, sits on the south shore of the narrowest part of the Forth Estuary east of Grangemouth, looking across to North Queensferry, its twin on the Fife shore. As an obvious place to cross the river when heading into Fife from Edinburgh it is likely that settlements either side of the river here, and ferries between them, date back to ancient times. 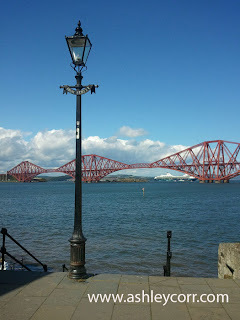 Queensferry is defined by the road and rail bridges that lie either side of it. But it is so much more as well. At times it has been an important trading and fishing port in its own right and the town still offers an environment that can transport you back to an earlier time more readily than most places in Scotland. If, that is, you can catch it in a rare traffic-free moment: cars are constrained by the narrowness and twisting of Queensferry's High Street, and as a result intrude far more than elsewhere. Strangely enough, despite the nice weather, which is always a plus when photographing the landscape, I left my Canon 7D at home, which was not a good idea at all. The weather forecast on the previous day was nowt to get excited about so I took a risk by leaving the camera behind - something I'd probably regret further down the line. The photo's shown here were taken on my smart phone, which has a nice little panoramic facility on it, allowing stitches of over 6 images at a time. A couple of 'Stitches' are shown here, just for the record. There's a very small beach at Queensferry, which is accessible at low tide and is a great vantage point when looking north. If you ever find yourself in this part of the world, check out the restaurants along the main street - one in particular offers excellent panoramic views across the river through its huge windows, although its name escapes me right now.